In Iran, many human rights lawyers find themselves jailed or threatened with legal action. At the same time, some are criticized by peers who say they sometimes overlook clients’ best interests in their determination to take a stand. Reporting from Tehran and Beirut— When Iranian activist-lawyer Shirin Ebadi was awarded the Nobel Peace Prize in 2003, human rights activists cheered. Here was a chance for Iranians to rally around a figure for political change and reform much as Poles rallied around Lech Walesa and Burmese around Aung San Suu Kyi, both fellow laureates. Eight years later, the small cadre of attorneys close to Ebadi and the organization she started with her prize money, the Center for the Defense of Human Rights, are either in jail or threatened with legal action. The center has been outlawed. Activists decry the detentions as a vengeful crackdown by government hard-liners who were incensed by Ebadi’s Nobel prize. But some human rights lawyers criticize their peers, saying the attorneys sometimes overlook clients’ best interests in their determination to take a stand. Few of the lawyers have escaped the attention of the government. For the last two years, Ebadi has been in exile. Another human rights lawyer, Abdolfattah Soltani, has been in and out of prison for months since a crackdown against civil liberties intensified in the wake of the country’s disputed 2009 reelection of President Mahmoud Ahmadinejad. Yet another lawyer, Nasrin Sotoudeh, has waged prison hunger strikes between sporadic court appearances. Mohammad Seifzadeh, who once represented Ebadi in court, has been in prison since April, facing a nine-year sentence. This month, when Iran’s hard-line Revolutionary Court sentenced prominent human rights activist Mohammad-Ali Dadkhah to five lashes and nine years in prison and barred him from practicing law for the next 10 years, few in the Islamic Republic even blinked. Dadkhah, who was found guilty of spreading “propaganda against the regime” and plotting a “soft revolution,” was typically defiant about the sentence. “Even if I am in jail, I will cheerfully advocate human rights, and those who put me in jail will be unhappy,” he said in an interview. After Sotoudeh was imprisoned, Britain’s ambassador to Iran, Simon Gass, wrote an article for the embassy’s website in which he criticized Iran’s human rights record and called for Sotoudeh’s release, saying her “real crime” was “doing her job courageously and highlighting injustices that the Iranian regime would prefer stayed hidden.” In a Persian New Year address in March, President Obama called on Iranians to release her from jail. Activists say Iran’s hard-liners have made good on private vows to make both the West and Ebadi’s circle pay for the Nobel, the first given to a Muslim woman or to an Iranian. They wanted to discourage those within Iran’s intelligentsia from pursuing Ebadi’s course, and to some extent they have succeeded. There appears to be no rush of lawyers taking the place of those jailed. Some activists remain more optimistic, disagreeing that hard-liners had managed to scare lawyers away from representing controversial human rights cases. But some lawyers believe that human rights defenders have played into the hands of the regime. A well-known human rights defense lawyer who asked to remain anonymous says that his colleagues were not prudent or discreet enough given the climate in Iran over the last 10 years. He added: “It is not an honor to get yourself in jail. Our job as lawyers is to reduce the jail sentence of our clients. When we as defense lawyers receive applause from the USA and the European Union and their media, it is counterproductive for our clients. Increasingly, the lawyers complain that they are being subjected to the same types of human rights violations they’re fighting. 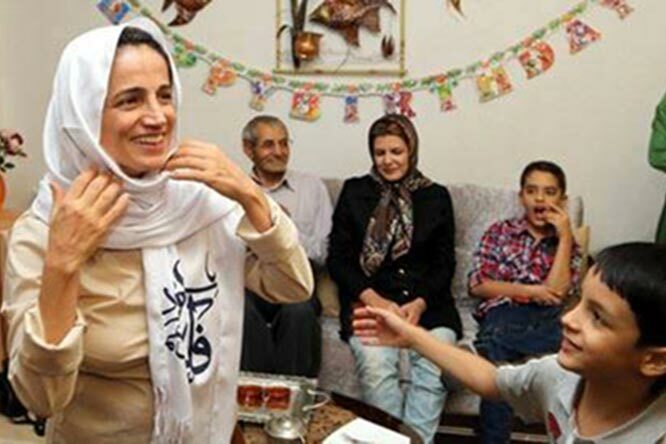 Soltani’s wife, Masoumeh Dehghan, received an official notification this month summoning her to the magistrate’s office inside Tehran’s menacing Evin Prison to clarify “some points,” Soltani recalled. As soon as she arrived, she was hustled into jail and held for five days, in what Soltani believes was an attempt to show him how far authorities were willing to go to shut him up. The detention of Sotoudeh, an advocate for juvenile offenders on death row, who began serving an 11-year sentence in January, has left her two children miserable, her husband says. When the boy asked why his mom had not yet come home, his aunt told him that he should pray, Khandan said. From problematic bestsellers to superficial fare treating Iranian politics as an impossible paradox needing U.S. expertise to be solved, what so much of this literature lacks is a historical understanding of Iranian political modernity and social movements. Without this understanding, the daily news coming out of Iran, not to mention U.S. and European state responses to that news, seems inscrutable at best and terrifying at worst. Despite the above, the situation is not so grim. We in Raha know that — much like in neighboring countries experiencing the Arab Spring — people’s aspirations and movements in Iran flourish despite both domestic and international pressure. Below we have put together a list of historical texts, artistic works, and links to political statements and videos that offer a richer and more nuanced understanding of Iran and Iranians. Kinzer is an American journalist who has written the most accessible analysis of the CIA-engineered coup against democratically elected Iranian Prime Minister Mohammad Mossadegh in 1953, which returned the American puppet Mohammad Reza Pahlavi to the Peacock Throne. Though Kinzer’s diplomatic history doesn’t delve into Iranian sources, he adequately reveals the secret machinations that led to the overthrow of the popular Mossadegh, whose apparent crime was attempting to nationalize Iran’s oil resources. The coup remains a formative event in the historical memory of Iranians, though most in the country today are too young to have lived through it. This incident casts a long shadow that continues to lend emotive weight to the current regime’s anti-U.S. rhetoric, and fuels the necessary skepticism toward U.S. motives from those who nonetheless oppose the current Iranian regime. For those interested in the major players of the post-Khomeini era and the changes at the level of the state, as well as those who don’t necessarily understand the important differences (and struggles for control) among powerful individuals such as Ahmadinejad, Khamenei, Rafsanjani, etc., this is the book. Despite the often-racialist rhetoric of many stringent Iranian nationalists — who boast of an ancient greatness often pitted against Iran’s Arab, Central, and South Asian neighbors — Iran is a multi-ethnic society whose history is intimately bound up with that of its neighbors. Iran, as a national entity, is as modern a political construction as any other nation. In this text, Marashi masterfully reveals the twentieth century colonial origins of the myth of “Aryan-ness” shared by some Iranian and Indian nationalists alike, a mythology that has unfortunately colored the analysis of too many Iranian nationalists and members of the Iranian left. We in Raha believe that for Iranian politics to move forward, Iranians must abandon their insistence that they are a people apart from their region. In her most recent work, Firoozeh Kashani-Sabet reveals the degree to which women’s sexuality and health has become a near-obsession of the modern Iranian state. Rather than re-hashing those gendered questions that obsess the U.S. media (such as veiling), Kashani-Sabet shows the extent to which the modern state (both in its secular and religious forms) has shaped debates on gender, sexuality, and health in Iran through a discourse on “nationalist” motherhood. That is to say, Iran – much like its Arab and South Asian neighbors – has seen a gendered nationalist rhetoric claiming that the role of women is the raising of “strong/good” (male) citizens. Gender is an undeniably critical component to understanding Iran, though probably not in the ways we have been led to believe. This book — which spans a later era than Kashani-Sabet’s work — examines the means through which gender has been reconfigured as part of the new state-building project of the Islamic Republic. Osanloo looks at the government’s use of human rights and women’s rights discourses, as well as how that language trickled down into the lives of women in unpredictable ways. This documentary — made by French documentary filmmakers — offers a vivid depiction of the Iranian women’s movement amidst the revolutionary fervor of March 1979. This short film is mandatory viewing for those interested in the events of the 1979 revolution, insofar as it captures a moment when women vied for an alternative vision for post-revolutionary Iran. This book offers a historical perspective on the relationship between Western women/feminism and women in Iran, with a chapter specifically about the March 1979 events featured in the documentary listed above. A must read for anyone interested in transnational solidarity and feminism that doesn’t reproduce imperial hierarchies. This brief video gives an overview of the major grassroots women’s rights movement that began in 2006. The One Million Signatures Campaign has gained prominence as an organization that insists on non-hierarchical organizational structures and on face-to-face encounters in their daily work. They are an inspiration. On the anniversary of the Green uprising, Raha-member Manijeh Nasrabadi interviewed Iranian feminist activists in Tehran about their year(s) of upheaval. This video outlines the work of the Iranian labor movement, as well as the difficult conditions facing working people in Iran today. 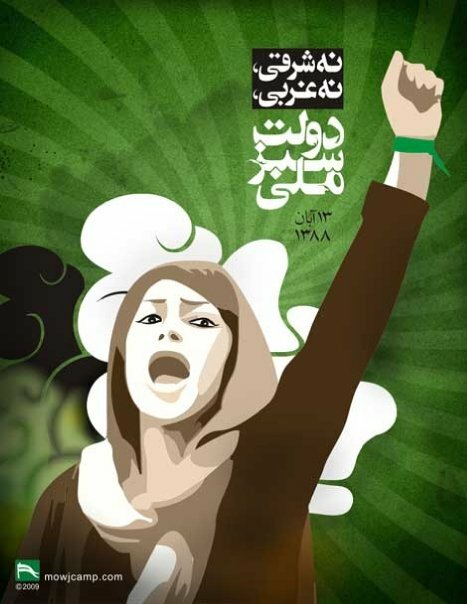 Also see Iran Labor Report and especially the most recent May Day statement issued by several workers’ organizations. Bayat is the pre-eminent scholar of the remarkable democratic people’s councils (shuras) that emerged in the wake of the 1979 revolution, as well as other working class struggles in the Islamic Republic. Again, these books give a sense of the revolution as a contested struggle over the future, rather than a homogenous movement under Khomeini’s thumb. Featuring important pieces by some of the most vocal commentators on the Green Movement that began in 2009 (among them Hamid Dabashi, Mohsen Kadivar, Juan Cole, and a number of green activists based in Iran), this anthology includes essays that were circulating during the most active months of the protests, and thus serves as both primary and secondary documentation of this democratic protest wave. This talk from a February 2011 NYU teach in sponsored by Social Text considers the impact of the Arab Spring on the volatile situation of repression and dissent in Iran. Written just a few years before the 1979 revolution, Missing Soluch is among the masterpieces by Iranian novelist Mahmoud Dowlatabadi. Focusing on life in a small village in Khorasan, Iran, this novel beautifully reveals the limitations and failures of the Pahlavi development project as well as the dynamics of a working class family. Dowlatabadi was himself a sympathizer of a major revolutionary Marxist guerrilla organization in the late 1970s; though this novel doesn’t deal explicitly with those politics, it is nonetheless mandatory reading for those interested in pre-revolutionary life in Iran. Forugh Farrokhzhad is one of the most beloved modern Iranian poets. Her work explores sensuality and femininity unlike that of any other writer; her poetry features both lyricism and a sense of the ironic that few have matched. Her short film, The House is Black, is also a masterpiece. She is for many of us a feminist and anti-authoritarian hero. Bozorg Alavi was a well-known novelist and among the founders of the Marxist Tudeh party in the 1940s. This book includes his Scrap Papers From Prison, the first Iranian prison memoir as well as a classic of Iran’s modern literature. Alavi’s brilliant, Kafka-esque narrative serves as a damning reminder of the first Pahlavi monarch’s authoritarian policies and reveals the degree to which political repression had been entrenched in Iran before the filling of the prisons of the Islamic Republic. This is a movingly written and politically astute account of the conditions that led to the 1979 revolution. Kapuscinski, a journalist who wrote about many anti-colonial revolutions, travelled to Iran in the final years of the Mohammad Reza Shah’s reign. His account chillingly portrays the paranoia among ordinary Iranians due to the ubiquitous presence of the Shah’s notorious secret police force (SAVAK), as well as the poverty and despair created by the Shah’s “modernization” policies. This bestselling graphic memoir (also an animated film) chronicles the Iranian Revolution and its aftermath through the eyes of a young girl whose parents are leftists. Satrapi gives a nuanced account of Iranians’ twin struggle against foreign intervention and internal despotism while also telling a moving coming of age story that challenges many Western assumptions about Iranian women and society. This newly published book is arguably the best memoir written in English by an Iranian about Iran, though it will almost certainly not receive the praise that more sensational fare has received. Talebi is an activist who spent over a decade in Iranian prisons, first under Mohammad Reza Pahlavi’s reign, and then again for many years in the Islamic Republic. Unlike texts such as Prisoner of Tehran and My Life as a Traitor, which seem to believe that the Islamic Republic created repression out of thin air, Ghosts of Revolution is an explicitly political book that recounts the important historical events that have shaped both the pre- and post- revolutionary years. Talebi is a sensitive storyteller and politically savvy narrator who reminds us that notorious Iranian prisons Evin and Ghazal Hesar are part of the same political universe as the U.S. prison at Guantánamo Bay; unfortunately, the Islamic Republic doesn’t have a monopoly on repression or torture, despite what some of its detractors may think. On the other hand, this book should serve as an eye-opener for those who naively want to believe that the Islamic Republic represents a successful revolutionary/people’s movement. If you read only one book off of this list, this should be the one. On June 12, 2010, the tense one-year anniversary of the post-election uprising that made the color green an international symbol of a people’s democratic aspirations, hundreds of special security forces stood shoulder to shoulder along Tehran’s major boulevards and squares with knives, batons, and walkie-talkies ready. Nonetheless, the evening traffic from Imam Square to Revolution Square swelled well beyond the normal numbers of commuters, as families, friends, and co-workers engaged in a moving protest without signs, slogans, or any visible scrap of green. “My purse was full of green balloons that my sister and I were going to release into the crowd,” said one stay-at-home mother who drove along slowly, honking her horn to show her opposition to President Mahmoud Ahmadinejad’s administration. “But we saw the faces of the security forces and we didn’t dare.” The standoff described above reveals both how deeply the dissent runs in this society and how easy it would be to draw pessimistic conclusions about the possibilities for progressive change in Iran. At this crucial moment in Iran’s history, when the gap between popular discontent and the ability of the opposition to accomplish reforms threatens to swallow what remains of the green movement’s momentum, the experiences of Iranian feminists, who have long had to organize under conditions of crisis and repression, may offer a vital perspective on how to move forward from here. Indeed, for Iranian feminists, June 12th (the 22nd of Khordad on the Iranian calendar) evokes a longer, less well-publicized history of resistance. It is also the four-year anniversary of a watershed moment in the contemporary Iranian women’s movement, when activists protested against gender discrimination in Tehran’s Haft-e Tir Square and were beaten by police. More than fifty people were arrested, but the One Million Signatures Campaign was launched in the aftermath, and it managed to develop networks of activists in cities across the country despite the toll of government repression. 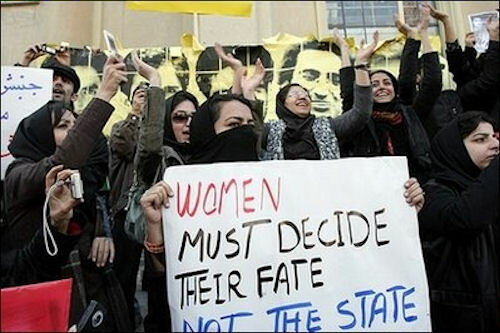 Through educational workshops and grassroots petitioning in public places and private gatherings, the Campaign gathered support for changing ten key laws that constitute women as second-class citizens in Iranian society, including divorce, child custody, and inheritance laws. On the occasion of this double anniversary, I sat down with Delaram, Homa, and Nahid, veteran Campaign activists in Tehran, to solicit their reflections on the turbulent years behind them, the relationship between the feminist movement and the broader “green” movement, and the prospects for advancing the struggle for gender equality under the current security crackdown. Far from a homogenous entity, the Campaign has been a space of vigorous debate over strategy and tactics – including over what position to take during last year’s elections. Each of the women I spoke with had taken a different approach. “We had faced so much repression previously that it wasn’t easy to judge if we should participate at all in last year’s election season,” said Delaram, who spent several days in jail after the protest four years ago. She still faces a sentence of two years, ten months and ten lashes for her role in protesting gender discriminatory laws – a sentence the government could decide to carry out at any time. Campaign workshops were attacked repeatedly over the past four years, and some members lost jobs or were kicked out of school. It wasn’t until the night of the first televised presidential debates, when support for opposition candidate Mir Hussein Moussavi manifested in large street processions of young people decked out in strips of green fabric, that Delaram realized “the mood of the country had changed.” She decided to vote for Moussavi because it seemed like he might actually win. “It felt like our revolution, like the bad memories of the past thirty years were draining away,” she said. Most Campaign activists initially backed Mehdi Karroubi, successfully conducting their petition drive among his supporters. With the weight of history hanging over them, and the regime launching a full-scale attack against the popular movement – 5,000 people were arrested in the eight months following the elections, including 138 female civic activists – Campaign members struggled to figure out how to continue their work. Two months into the uprising, about fifty of them gathered to discuss what to do. “Every moment we thought security might burst in and, if fifty activists in Tehran were all arrested together, we would have lost everything we’d worked for,” she said. It was a disorienting meeting in which Campaign members raised doubts about petitioning against the ten laws – their organizational raison d’être. “We debated whether petitions had any meaning anymore,” Delaram said. “Activists who had collected signatures before didn’t feel confident to go into the streets to talk about changing laws. People were out in the millions; some people were getting killed and we’re going to say, ‘Sign this paper?’ A paper demanding change from this parliament? This administration?” More than even the threat of arrest, the idea of trying to convince people protesting their stolen votes that signing a piece of paper could change anything was paralyzing. Special thanks to Delaram, Nahid, and Homa for their generosity and trust, and to Nasrin for help with transcription.